'Ghost Mothers' in Thailand - Neues DORISEA Working Paper von Andrew Johnson veröffentlicht! Neues DORISEA Working Paper von Andrea Lauser jetzt online! Volker Gottowik berichtet in einer Picture Story über seine Forschungen im Kontext des indonesischen Lingsar Festivals! Zwei neue DORISEA Working Paper jetzt online! Ghost Movies, their Makers and their Audiences. Ein neues DORISEA Working Paper jetzt online! Andrea Lauser in Conversation with the Filmmakers Katarzyna Ancuta and Solarsin Ngoenwichit From Thailand and Mattie Do From Laos. Neues DORISEA Working Paper von Eva Sevenig jetzt online! Neues DORISEA Working Paper von Justin McDaniel jetzt online! 23. und 24. Januar 2015, Humboldt-Universität zu Berlin. In den vergangenen drei Jahren führte das Kompetenznetzwerk "Dynamics of Religion in Southeast Asia" empirische, historische und komparative Forschung zu unterschiedlichen Manifestationen von "Religion" und diversen "Anderen" - "Sekularismus", "Animismus" und "Tradition" - durch. Soziologen, Athropologen, Linguisten und Historiker erforschten, wie "Religion" materiell und diskursiv in verschiedenen Südostasiatischen Kontexten konstruiert wird. Den Fokus bildeten dabei die Gesellschaften Vietnams, Indonesiens, Laos', der Philippinen, Malaysias und Thailands. Mit der Konferenz "Kaleidoscopes of Religion: Southeast Asia and Beyond" tritt das Netzwerk in einen Dialog mit Wissenschaftler_Innen, deren Arbeiten zu "Religion" über Südostasien hinaus gehen. Daher werden drei thematische Felder abgedeckt: Religion und Politik, Religion und Medien sowie Religion und Raum. Schließlich ist das Ziel, zu diskutieren, ob es für die Region eine spezielle Qualität des "Religiösen" und - vielleicht gar wichtiger - der Erforschung des "Religiösen" gibt, und wenn ja, worin diese bestehen könnte und wie Erkenntnisse aus Südostasien zur Anregung einer breiteren theoretischen Debatte über Religion beitragen können. Julius Bautista presents the fruits of his collaboative fieldwork with Dorisea's Peter Bräunlein published in the article Ethnography as an Act of Witnessing: Doing Fieldwork on Passion Rituals in the Philippines in Philippine Studies: Historical and Ethnographic Viewpoints / Special Double Issue on Catholicism: Vol 62, No 3–4 (2014), 501-528. Article abstract This article juxtaposes two narrative accounts of ethnographic fieldwork on the Passion rituals of Central Luzon in the Philippines. Framed from two distinct cultural and temporal contexts, these narratives highlight the limits and the possibilities of reflexive participant observation in understanding and depicting Filipino religious culture. The authors problematize the assumption that the researcher is the sovereign determinant of fieldwork parameters and local “informants” are merely complicit with the former’s empirical strategies. The act of witnessing, they argue, is a fluid process of exchange conditioned by the expectations and desires of the researcher’s interlocutors and the researcher’s own anxieties over the academic and personal prospects of his or her work. Haunted Thresholds Ausstellungskatalog - jetzt verfügbar! Zur Eröffnung der Kunstausstellung „Haunted Thresholds: Geister in der Moderne Südostasiens“ fanden am 9. November mehr als 70 Besucherinnen und Besucher den Weg ins Göttinger Alte Rathaus. Bilder von der Ausstellungseröffnung finden Sie hier.. Haunted Thresholds Ausstellungswebsite - jetzt online! Haunted Thresholds untersucht die einzigartige Beziehung zwischen Spiritualität und Moderne in Südostasien. Als Ausstellung und Recherchearbeit bringt das Projekt Arbeiten von 15 Künstler/innen in einen experimentellen Dialog mit ausgewählten südostasiatischen Objekten aus der Ethnologischen Sammlung des Instituts für Ethnologie an der Universität Göttingen. 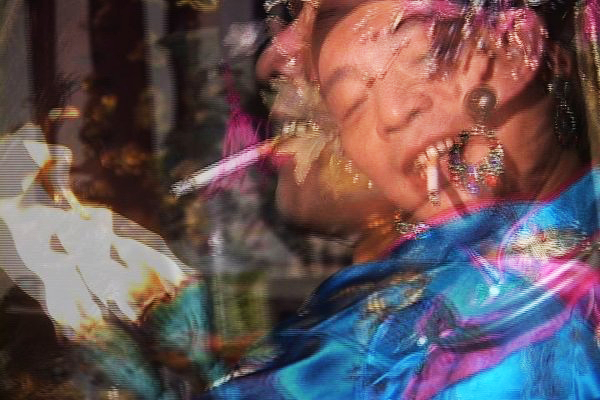 Nguyen Trinh Thi: 'Love Man Love Woman' (video still), 2003. Mit freundlicher Genehmigung der Künstlerin. Fünf neue DORISEA Working Papers von Bounleuth Sengsoulin, Boike Rehbein, Khamvone Boulyaphonh und Andrew McAllister jetzt online! "Cityscapes and New Religiosities in Asia"
The Summer School “Cityscapes and New Religiosities in Asia” brings the contexts of ‘religion’ and ‘urbanity’ in Asia to the centre stage. It will engage with urban spaces and religiosities through case studies especially in India, China, Vietnam, Korea, Thailand, Singapore, Cambodia and the Philippines. Sommersemester 2014 Die Veranstaltungen sind öffentlich. Für ein PDF des Programms klicken Sie bitte hier. Click here to see the ten winners and the fifteen runner-up entries of the DORISEA Photo Competition 2013! There were over 500 entries to the competition, and over 1000 people voted on facebook. Das Working Paper ist eine Sammlung von fünf studentischen Essays, die im Rahmen des 2011 von S. Hoffman und DORISEA Assoziert B. Baumann gegebenen BA-Seminars "Der Tod im Kulturvergleich" entstanden sind. Das Paper kann hier heruntergeladen werden, oder direkt über hiwi-soa@rz.hu-berlin.de als Print (10€/5€-Student_Innen) bestellt werden. Click hereto see the finalists on facebook. Wednesdays at the HU Berlin, 5 PM. For more information click here. DORISEA researchers and associates are presenting at EuroSEAS on the following panels. The entire Southeast Asian region is engaged in an accelerated change in the political, economic, social, medial and ultimately religious spheres. As such, the region is marked by transformations in the concept of religion and in religions themselves. During the workshop key areas of these transformations will be identified and theorized. A review of the DORISEA mid-term conference held in Göttingen from 26-29 June 2013 by Mary Somers Heidhues - to be published in Archipel 86 (2013, in press). DORISEA Conference: "Dynamics of Religion in Southeast Asia"
Tuesday, June 25th, 2013: 2.00 – 5.00 pm, University of Goettingen. 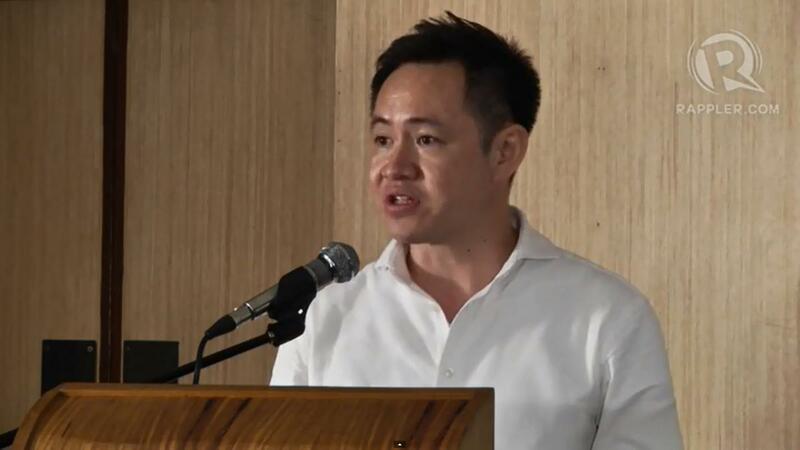 A DORISEA Graduate Student Seminar by Peter Jackson, Professor of Thai history and cultural studies in the ANU’s College of Asia and the Pacific at the Australian National University. Invited are graduate students from the fields of anthropology, gender studies, Southeast Asian history, Thai studies and other disciplines whose research is related to the workshop topic. In the presentation, you are expected to discuss the ideas in the reading material from the perspective of your own research. All participants are required to thoroughly work through the reading material cited below.